What do busy medical practices, business offices, and the hospitality industry all have in common? 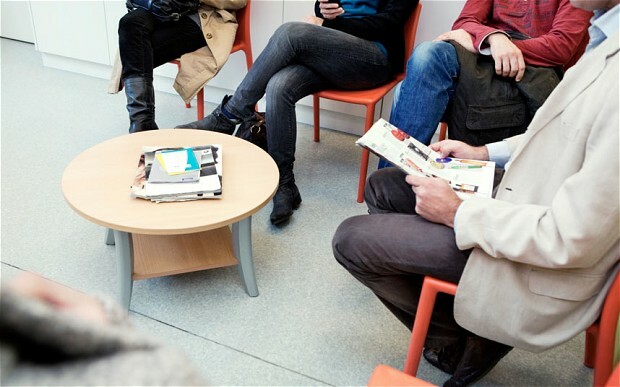 Sooner or later, every visitor will pass through or spend time in a common area, namely your lobby or waiting room. It’s an opportunity to share information and cross-promote your services to the largest segment of customers and patients…an opportunity too good to miss! And the best way to reach them? Glad you asked. Acrylic Sign Holders provide the ideal spotlight for your print and promotional literature. They also give your office décor a clean, polished, professional look. Acrylic Literature Displays make a wise investment for a number of reasons, and here are just a few. Scratch-Resistance makes Acrylic Sign Holders flawlessly reliable and crystal clear. Easy-to-Clean Acrylic makes your literature look great AND easier for the eye to absorb. Acrylic composition looks like glass yet does not crack or shatter. Plus, it doesn’t split or break like wooden displays. Perfect for heavy foot traffic! User-Friendly Acrylic Displays are quick and easy to load…and re-load when it’s time to switch literature. Customizable, PPM can screen-print your custom logo, name, and graphics to make your Acrylic Sign Holders that much more attractive. You might also be surprised at the versatility associated with different Sign Holder styles and how they can be configured to match your brochures, pamphlets, and slicks. 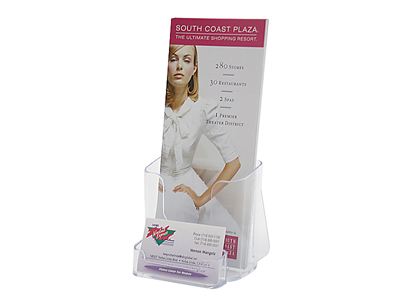 PPM Style AP Acrylic Sign Holders with Brochure Holder attachments are prime examples. Take a look and you’ll see a variety of sizes and dimensional configurations. Note the sizes of your promotional literature and use the larger Sign Holder portion to draw customer/patient/guest eyes. And with the Brochure Holder pocket attachment, you can dispense related material that delivers the call-to-action…either for the future or even right there on the spot. Style AP Sign Holders also have a slight slant that adds to their visual allure and points the subject material right to eye level. Looking for a different approach that’s economical and focuses specifically on brochures MINUS the Sign Holder? Style PDK08AP is one effective approach. It’s a basic, straight-forward Brochure Holder for countertop displays and tough as nails to avoid splitting and breaking. At 7 inches high by 4 inches wide, it offers both depth and protection for your brochure displays. Go ahead…load it up and watch strategically placed brochures and pamphlets go directly to the people who have already walked through your door: your most qualified customers, patients, and visitors. When you incorporate Sign Holders in both marketing and interior décor, it’s a win-win every time! Trying to stand out in a visually crowded world can be tricky, especially when the goal is to inspire a call-to-action. The solution just might be in an effective poster campaign, from the design to the Poster Holder that displays it. Of course, advertising with posters is hardly a new concept. But it remains a tried-and-true method that gets undeniable results. It’s a fact that’s not lost on college campuses or at car dealerships where auto sales are resurgent, especially in the Truck/SUV market. So what’s the secret to success? It all starts with design, and thanks to the wonders of Photoshop, you have more options than ever in texture, color, backlighting, and background patterns. This is where capturing images can be deployed in an endless, imaginative array of combinations…as simple or complex as you like. If you have a graphic designer or artist involved with your campaign, great. If you want to explore Photoshop possibilities on your own, we suggest a look-up of vector patterns and background designs. Next comes the display and that’s where PPM Poster Holders enter the picture. 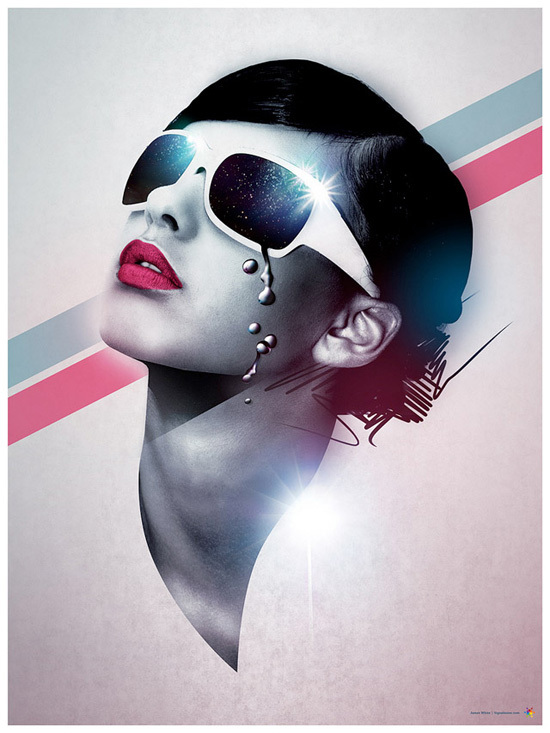 After all, the most visually stunning poster of all time is no good without the proper support. Most sizes fit Style WW Wall Certificate Holders. This unique Poster Holder style delivers great visibility ideal for brand recognition and drawing attention in a positive light. It’s very popular, due in part to its ease of mounting out of the box with brackets included. If the budget’s a little tight, don’t disregard poster campaigns altogether. You can’t build awareness OR profits if you don’t show your stuff. Vinyl Poster Holders can accomplish the mission in most affordable fashion. Style VW, for example, is made of a rigid vinyl and comes with a variety of mounting alternatives. Add the fact that the material is practically indestructible and you’ve discovered a worthy investment for the dollar! One of the most versatile Poster Holders in stock also offers far-reaching visibility. Style WC is a Ceiling Mount Poster Display that’s geared perfectly for retail operations and businesses with extensive floor space. Why? Customer eyes tend to gravitate upward when navigating large stores. Think “big box” stores in this regard, or where you look to find certain products in a particular aisle. If you want to provide an effective visual display to a larger audience all at once, definitely consider a Ceiling Mount Poster Display. It hangs easily with an S hook and chain. If the ceiling’s not a practical spot, that’s where the versatility comes in because Style WC can also mount easily to walls. Feeling inspired? The best combination takes your stellar graphic design and displays it with an eye-catching Poster Holder from PPM. Explore the possibilities!